EAST CHINA SEA - U.S. Sailors and Marines from Amphibious Force 7th Fleet and the 3d Marine Expeditionary Brigade (3d MEB) kicked off Exercise Ssang Yong 2014 March 27 in the Republic of Korea (ROK). Ssang Yong, which means 'Twin Dragons', is an annual combined exercise conducted by Navy and Marine Corps forces with the ROK to strengthen interoperability and working relationships across the range of military operations from disaster relief to complex, expeditionary operations. "Ssang Yong 2014 is a foundation for future success and demonstrates the Navy and Marine Corps team's ability to operate in a multi-ARG environment with our ROK counterparts," said Rear Adm. Hugh Wetherald, commander, Amphibious Force 7th Fleet. "Forward deployed naval forces and forward based Marine forces are working with our allies to have the ability to provide rapid deployment for a full range of military operations and contingencies in the Asia-Pacific region." Ssang Yong also exercises the interoperability and joint capabilities of U.S. Navy, Marine Corps and ROK forces. "We've been partners with the Koreans for 60 years and in this exercise we are going to practice and train together just in case we ever get called out in harm's way," said Brig. Gen. Paul J. Kennedy, commanding general, 3d Marine Expeditionary Brigade. "We are all building a narrative for generations to come." 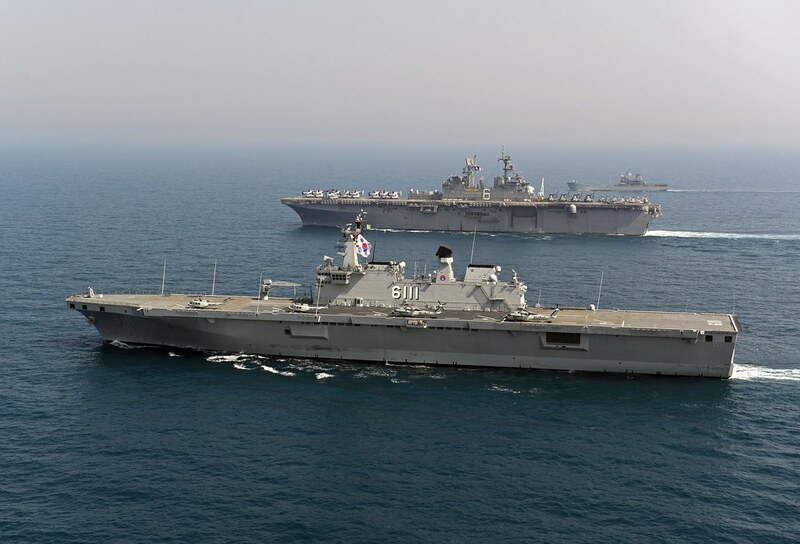 More than 20 U.S. Navy and ROK ships are supporting the amphibious landing including the Bonhomme Richard Amphibious Ready Group (ARG), Boxer ARG and ROK navy ships from Flotilla 5. Approximately 7,500 U.S. Marine Corps and 2,000 U.S. Navy personnel are participating in the exercise with approximately 3,500 ROK Marine Corps, 1,000 ROK navy and 130 Australian army forces. The U.S. Navy and Marine Corps team possesses a unique ability to come together with partner nations, conduct expeditionary planning and execute amphibious operations. 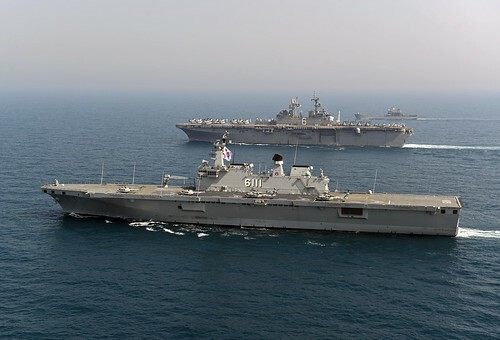 Exercise Ssang Yong will demonstrate the ability of a MEB headquarters to coordinate multiple Marine Air Ground Task Forces arriving in theatre via amphibious shipping, along with a ROK Regimental Landing Team, into an amphibious Combined Marine Expeditionary Brigade.